Join the Kalendar Host as we prepare for the launch of the Wyrd Kalendar album. This will be released on January 1st the beginning of the next Wyrd year. Artists from the England, Scotland, Ireland and Portugal were each given a month of the year and a story from the book (Wyrd Kalendar) as a starting point from which to create a vastly eclectic and evocative mix of genres that sweep from the worlds of Folk to Electronica via Psychedelic licks and lost Horror Soundtracks. Explore the work of these artists and find out more about the music they have created in this special mix. Listen to The Hare and the Moon (lead by Grey Malkin who has created the Song for January with his new group Widow’s Weeds), Keith Seatman, Emily Jones, Crystal Jacqueline, Beautify Junkyards, Alison O’Donnell, Concretism, Icarus Peel, Tir na nOg, Wyrdstone, The Soulless Party, The Rowan Amber Mill and The Mortlake Bookclub. 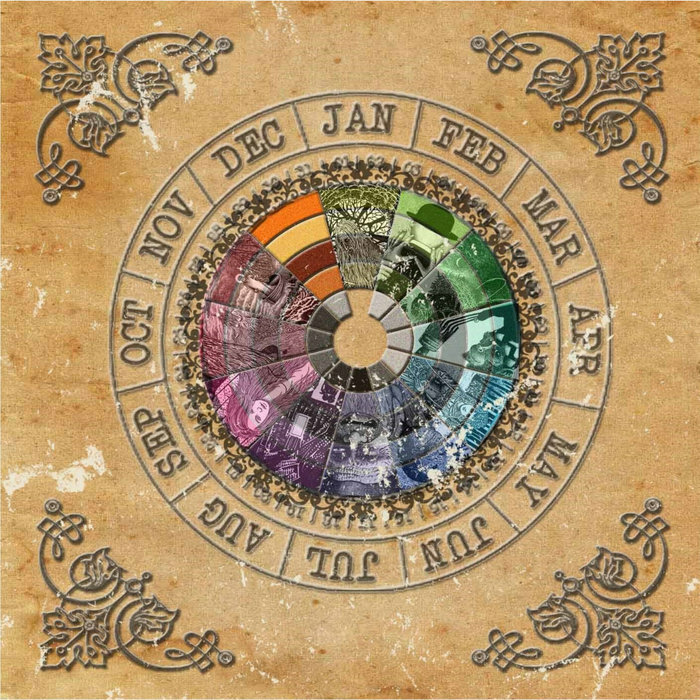 Wyrd Kalendar by Mega Dodo, releases 01 January 2019 1. Widow’s Weeds – A Song for January 2. Keith Seatman – Three Day Girl 3. Emily Jones – Waiting for Spring 4. Crystal Jaqueline – Chasing the Gowk 5. Beautify Junkyards – May Day Eve 6. Alison O’Donnell – Deadly Nest 7. Concretism – The Fair by the Sea 8. Icarus Peel – The Weeping Will Walk 9.